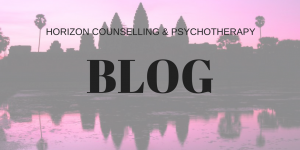 Hello, and welcome to the blog area on the Horizon Counselling and Psychotherapy website! Please click here to read my first blog post ‘It’s not all smiles and rainbows…’ about some of the difficulties faced by new mums during the postnatal period. My second blog post ‘Reflecting back, Looking forward… it’s that time of year again’ is about some of the difficulties faced by people during the Christmas and New Year period, and how we can all help by reaching out to those around us and making ourselves available for people to open up to. I will be writing more blog posts over the coming months so please come back and take a look.